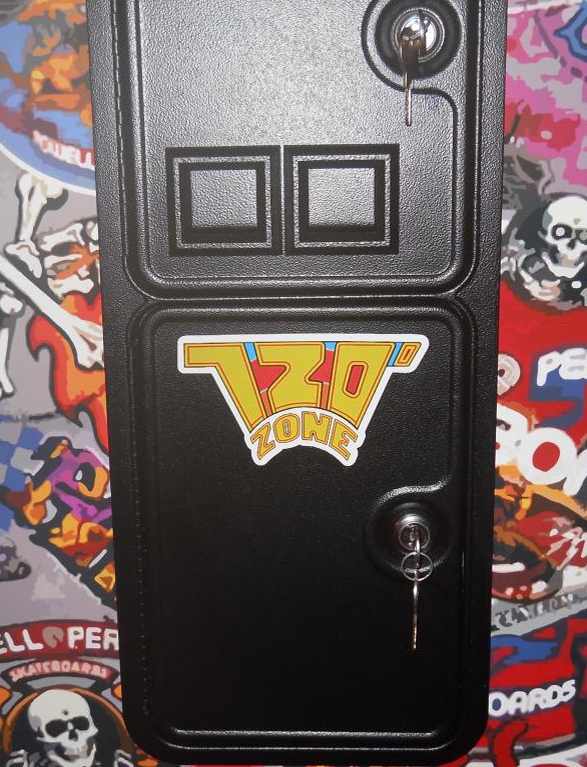 The 720 Zone: Your source for all things related to the Atari 720 Degrees arcade game, plus general arcade collecting resources and My Arcade Collection. SKATE OR DIE!!! On the 720 front, after repairing an issue with my boards, and giving my joystick the regular maintenance, I’ve finally been able to get some games in. Due to the board issue I ended up resetting all of my high scores. The long break has me struggling to break 400K, but I’m hoping to get back in high-score shape soon. UPDATE (Oct-13): Punch Out!! Added to the 720 Zone Collection - I’ve had Punch-Out listed on my wanted page for the better part of a decade, but could never seem to find the right time to pull the trigger. Finally this year I realized I had the space and time to get this done. 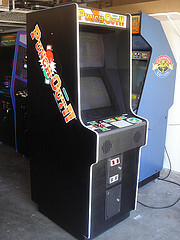 I was fortunate to find a KLOV’er willing to sell me his Punch-Out in good shape. I had it shipped down to San Diego from the bay area in late August, and then began a full restoration detailed here: KLOV - Punch-Out!! Restoration. The game now looks and plays perfect and is a great addition to the collection. 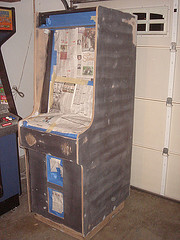 I’ve also been pulling together parts for Super Punch-Out and Arm Wrestling, with hopes of one day fulfilling the long-time goal of all three working in one cabinet. More to come on that (I hope) in the near future. collecting in general. 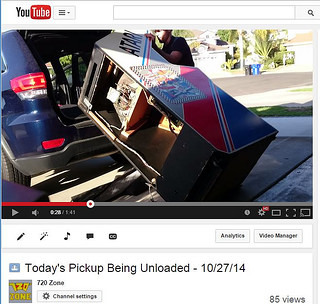 If you like, check out the channel and subscribe: 720 Zone YouTube Channel. so please stay tuned to the YouTube Channel. UPDATE (Jan-14): Cab & 720 Degrees: 1986-2014 and Counting - The story goes that in 1985 or early 1986, pro skater Steve Caballero was brought in by Atari to do some ramp skating as part of 720 design research. 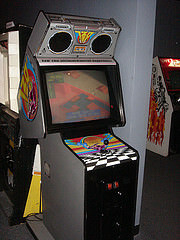 Atari built a ramp in their headquarters and filmed Cab and others in a very primitive session of motion capture, which they used as a basis for certain character movements in the game. As part of his compensation Cab was later given a 720. (See a video from that skate session here - From Atarigames.com). 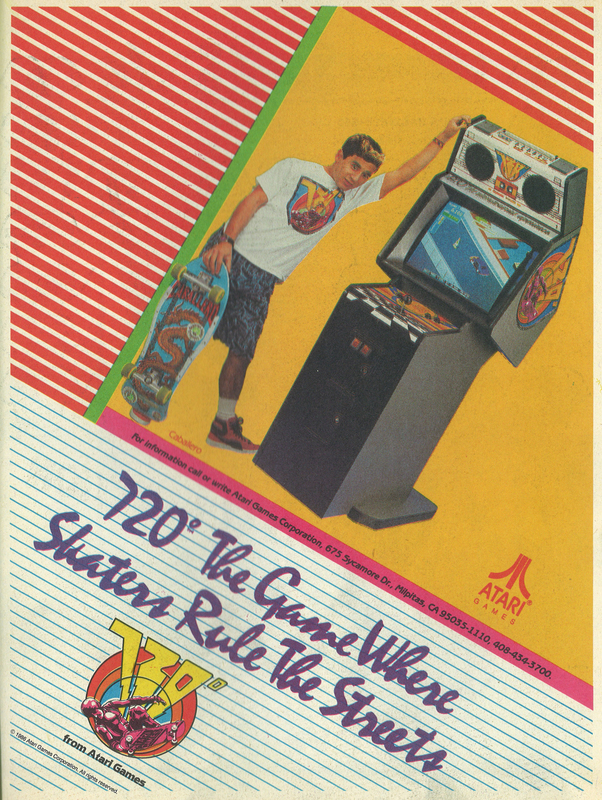 After stints in his home, and I believe a local skate park, that 720's joystick reached the grinding (eventually frozen) state most 720 owners & players are familiar with. After many years in storage the control panel made its way to me through mutual friend: Rich Cooley. 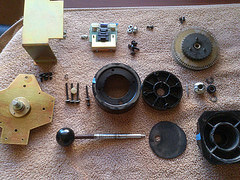 A full tear-down found the stick in surprisingly good condition. 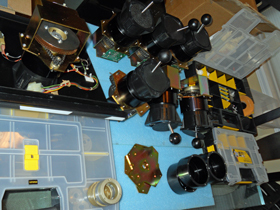 I don’t believe it had ever been disassembled before, and of course was never used commercially. I replaced the version1 roller and stick with the updated version, replaced a bit of hardware, and of course cleaned and lubricated everything. 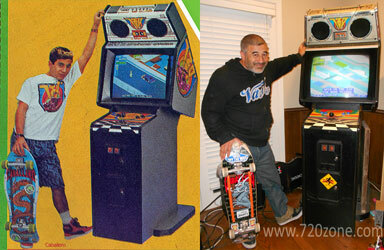 The 720 is now working again in Cab’s home where he and his friends and family are enjoying it almost thirty years later. UPDATE (Feb-14): 720 Soundtrack Video - I finally got around to finishing this video, which pairs the epic 720 soundtrack with some random 720 facts and tidbits. 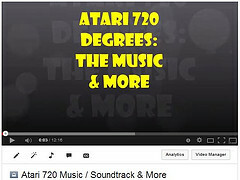 If you're interested in some 720 trivia, or want to revisit the songs, please check it out: Atari 720 Degrees Soundtrack: Music & More. 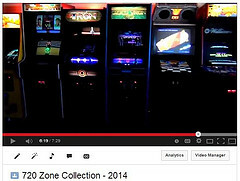 UPDATE (Jul-14): 720 At California Extreme 2014 - After skipping last year’s CAX I was happy to be back in action at the show this year. As usual the event was awesome. think in the one game I completed this year I just broke 400K, well off the 460K I have on that same 720. 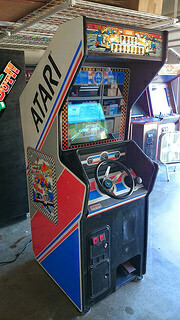 A couple weeks back John finally added the holy grail of arcade games to his collection. 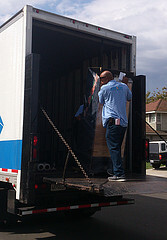 As usual, he meticulously documented the game’s pickup and a very detailed run-through, both inside and out. 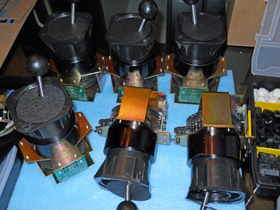 A large portion of the video is dedicated to a complete rebuild of the 720 Joystick. It should be entertaining for any 720 fan, and anyone diving into the joystick for the first time will find it very useful. 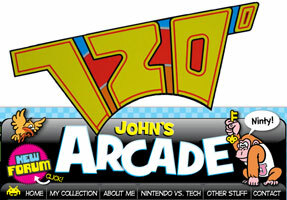 Thanks to John for the great 720 info and steady stream of arcade related entertainment. handling of scores (mostly on their comparison of scores based on stories from “back in the day” versus scores that went through strict documentation processes). between Mike Stephenson and myself. very glad to see that the score and this special forum post are back online. 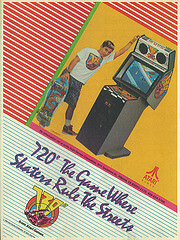 If you have any interest in 720, please check out the post for some great reading here: 720 Gamers in the House? shoot me an email: Jeff@720zone.com. Now THAT is how you do an arcade get-together. I had the good fortune to attend Grinkfest in Idaho this past weekend, and let me just say: What a blast. Grinkfest was the second of a now (hopefully) yearly arcade tournament put on by the Arcade Outsiders and the owner of Grinkers Grand Palace: Steve Barbey. Grinkers is first and foremost an 80’s arcade, but also has an excellent bar and menu with great hot and cold sandwiches. 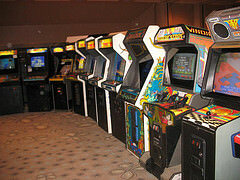 The place includes around 150 arcade games from the 80’s, with a few from the surrounding decades. This KLOV post includes tons of detail around the initial remodel, game acquisition, and set-up of Grinkers. It is a great read. 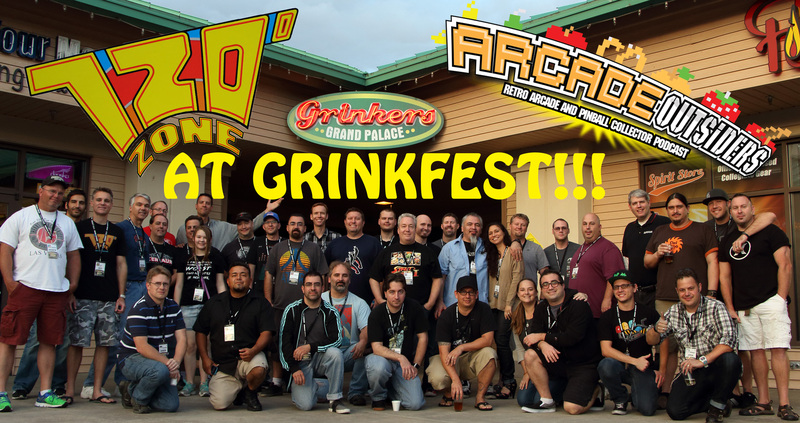 For the classic arcade collector that likes to have a few drinks and visit with like-minded arcade enthusiasts, the Grinkfest event is bliss. The owner made a point to visit with attendees, share knowledge about the games, participate in the tournament, and ultimately take part in the fun. He and his staff were excellent hosts. 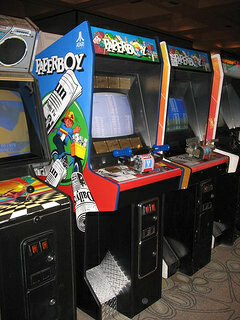 The event organizers/MC’s were John, Joe & Shawn of the Arcade Outsiders weekly podcast. They actually did three live pod-casts from the event, in addition to participating in the tournament, and generally enjoying the party. 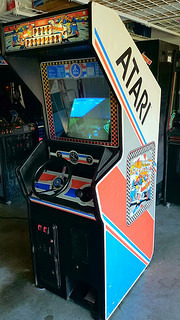 On to the 720 Report: Grinkers has a beautiful, fully restored 720 with a very nice joystick. The monitor is crisp, buttons, sound, everything else perfect. The best part for me was the location in the arcade. 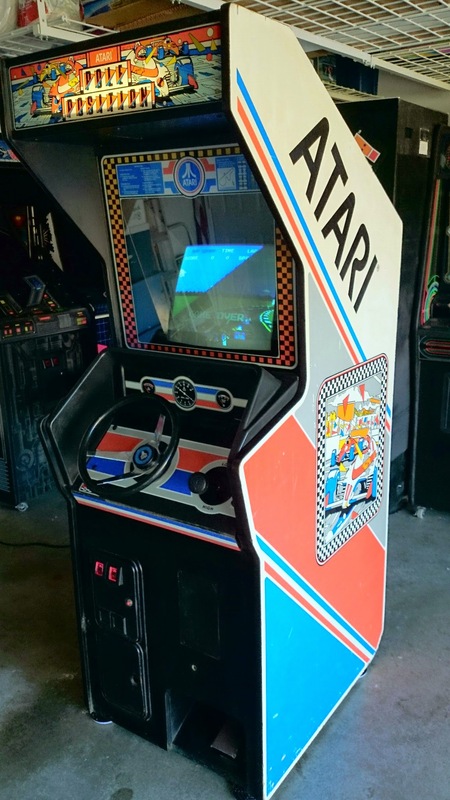 Most games are in rows like you would associate with a classic arcade, but at Grinkers the 720 is in its own area, with no games on either side. When I play I usually like to have a wider stance, and am of course throwing elbows to spin the stick. The location of 720 allows plenty of room. I played three games, but finished only two of the three, putting up 400K and 413K on two continues. I’m off my top game, but was glad to get the top score on the machine. Grinker’s generous offering of $1 beers to tournament attendees did not help my gameplay. 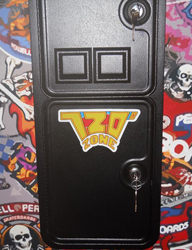 720 related highlights included getting to play a couple of games of 720 with the owner, and having a chance to talk some 720 on one of the live pod-casts. 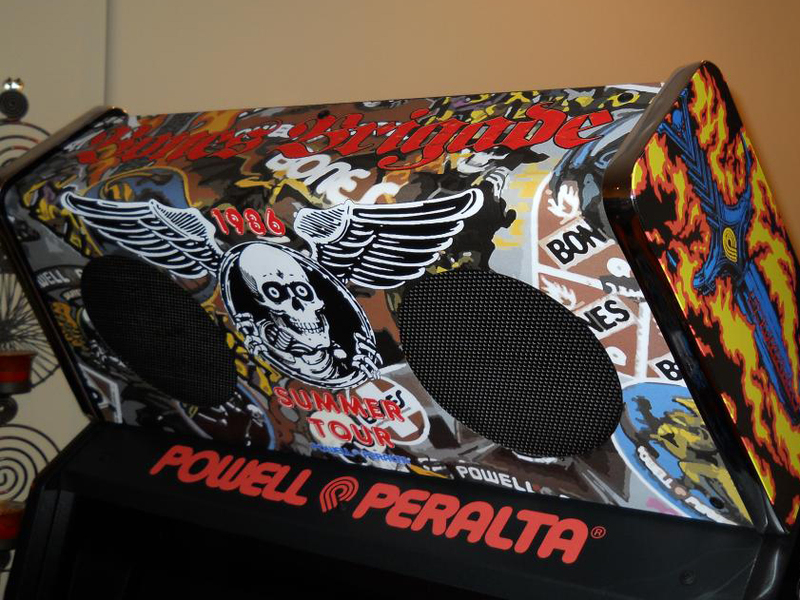 See pictures below and check out Episode 49 of the Arcade Outsiders Podcast. Skip to 10 minutes in for the quck 720 chat, or r better yet, listen to the whole thing. My only complaint? Not enough 720 players! 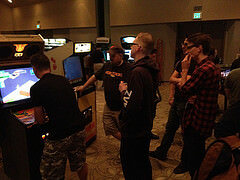 One of my favorite parts of CAX is the opportunity to split games with other players and talk 720. Next year I hope to hook up with more players at Grinkers, and perhaps even a 720 side tournament. If you play 720 and can swing it; plan to get yourself to Grinkers next October to Skate or Die!! 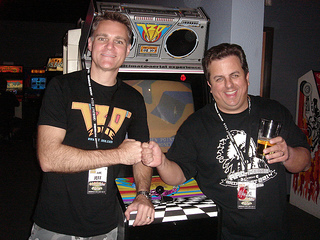 Click images for larger versions: The Grinkers 720 // My first score // A quick chance to talk 720 on the Arcade Outsiders Podcast // Grinkers owner Steve Barbey and I after a game. ** Grinkers Grand Palace - Eagle, Idaho: - Official site for the tournament location. If you're anywhere near Boise, Idaho; check it out. 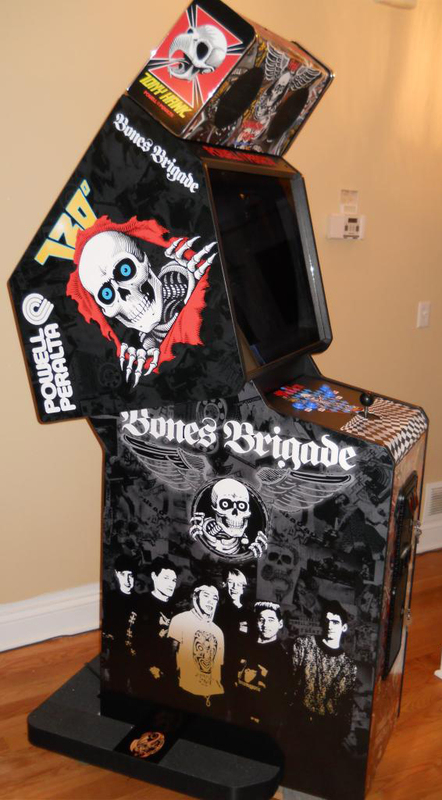 ** Arcade Outsiders Podcast - Site for the arcade outsiders podcast with John, Shawn & Joe - A good mix of arcade info and general debauchery. More from John a further down. 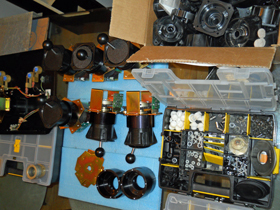 ** Grinkfest 2014 KLOV Thread - Tons of photos and other info about the event. ** My GrinkFest KLOV Post - More personal comments and photos from the event. ** My Picture Album of the Event - Flickr hoto album with my pictures. ** John's Arcade Youtube Video - Coverage of the event and every game at Grinkers. deal with the blue bonus flags? ), please reach out to me directly at Jeff@720zone.com <mailto:Jeff@720zone.com>. 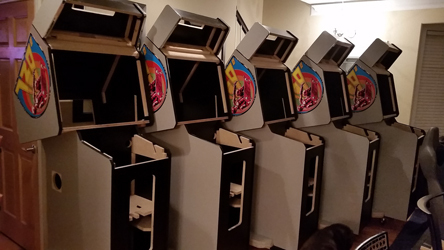 720s in new cabinets, with fresh vinyl, brand new art, completely rebuilt joysticks, etc. 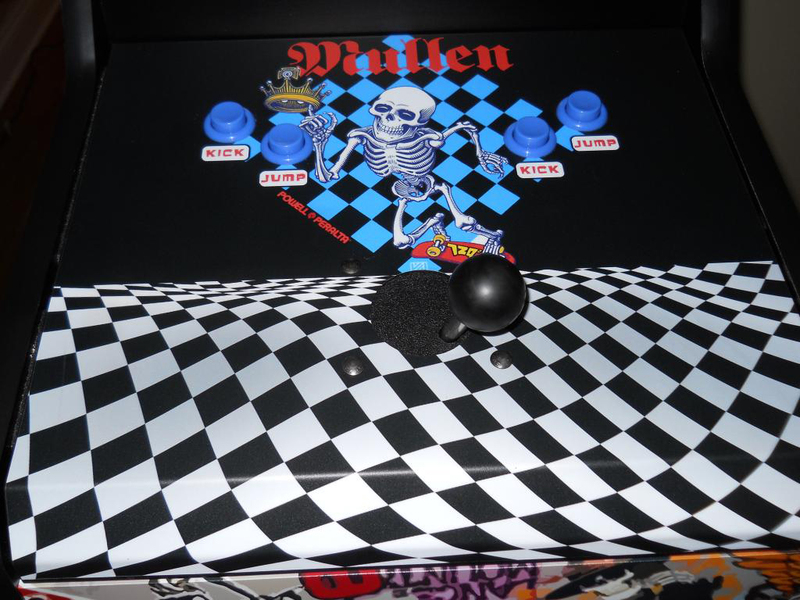 customized by sticker happy 80’s skate grommets, and an incredible CPO that incorporates the Rodney Mullen skull and checker-board design, with the original checkerboard style of the traditional CPO. Click the pics below for larger versions, and if you love 720....and especially if you were into 80's skating...please check out more about this amazing project in the 720 Bones Brigade Edition KLOV thread, and view all of Mark's Custom 720 Bones Brigade Edition Picture Gallery. Update - Shout-out on the coin door!!! UPDATE (JUN-15): 720 Joystick Photos: If you’re at all familiar with the 720 joystick, the process to rebuilt one and the cost of the parts, then you’ll really appreciate these photos. 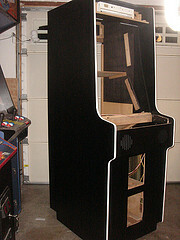 This is more of Mark’s work on full reproduction 720 cabinets. I love this stuff. Check out the full post here: 720 Sticks. 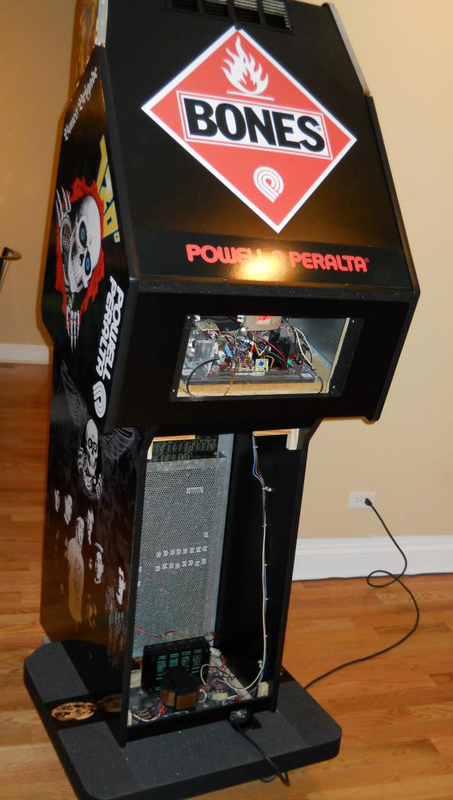 UPDATE (JUL-15): 720 Update & CAX 2015: Not a whole lot to report on the 720 front so far this summer, but CAX is coming up this month. I'll be there Saturday all day as usual. I always like meeting 720 fans, so if you see me, say hi. 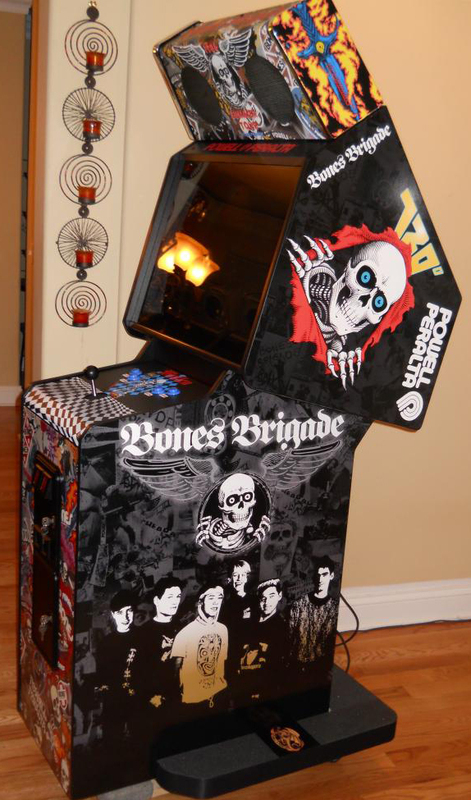 Also, I've updated my main collection page, and the 720 Hellcade has had three new additions. If you've not yet seen it, please check it out for a laugh (or cry). All content © 2008-2016, all rights reserved. 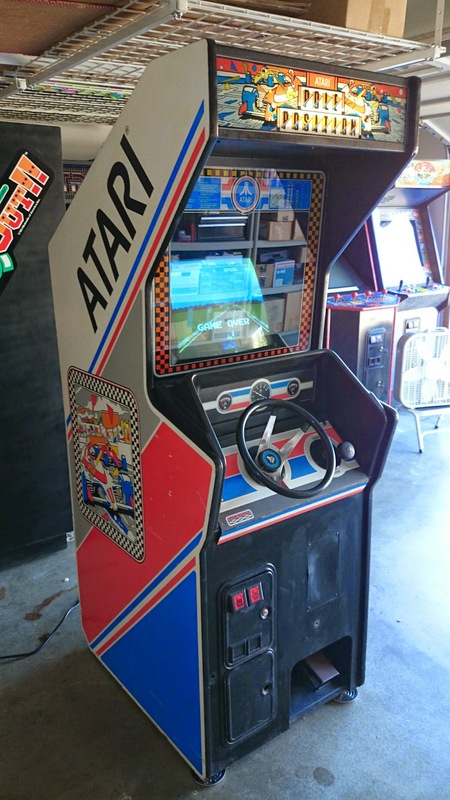 UPDATE (OCT-16): I've had to step away from the arcade hobby, but will be leaving this site up indefinitely in hopes it is useful and interesting to 720 fans.